Were these prayers intended specifically for a communion or Eucharist service? Or were they merely the prescribed blessings to be recited before any meal? Didache 9 continues the liturgical section that began in chapter 7 and extends through chapter 10. Chapter 9 contains prayers to be recited before a meal, and chapter 10, in a similar manner, contains prayers to be recited after a meal. The ends of both chapters 9 and 10 contain brief halachic instructions on who can be present at these meals and who is to lead the prayers. Many scholars suggest that chapters 9 and 10 of the Didache definitely represent a Eucharist but not in a sacramental sense. During the nascent stage of the development of Christianity in which the Didache was written, the weekly Eucharist ritual was simply a continuation of the traditional Jewish communal meal. It may have had associations with Passover and our Master’s injunctions at the Last Supper, however, if it did, those associations are absent from the Didache version of the ritual. The Greek word from which we get “Eucharist” is used (eucharistia, εὐχαριστία). Bread and wine are present, which on some level represent Messiah. It is found in a liturgical section of the document following instructions regarding immersion, fasting, and daily prayer. However, the word translated “Eucharist” simply means, “giving of thanks.” It corresponds to the Hebrew word todah. Even in Modern Greek the way to say “thank you” is eucharisto. Nothing requires us to translate the word into the technical term “Eucharist”; thus 9.1 could easily read, “Now concerning the giving of thanks.” In fact, the same word and its related forms are frequently employed in the Gospels to describe blessings for ordinary meals. In Greek-speaking Judaism and among the earliest believers, the term simply referred to blessing God before and after meals. The combination of blessings for bread and wine does not necessarily indicate a Eucharist ritual either. First, bread and wine have been common components of every meal since ancient times in Mediterranean and Near Eastern cultures. Second, consider that observant Jewish people eat three meals containing bread and wine every Sabbath. Each of these meals also begins with appropriate blessings. Perhaps the reason that the Didache text does not mention other foods is that, according to Jewish law, when a blessing is made over the bread, no other blessings are required for the rest of the meal (except for those over wine or grape juice). Third, the Didache blessings of wine first and then of bread do not follow the order of a traditional Eucharist service, which usually blesses bread first and then wine. This order was so important in the traditional Eucharist that in the Apostolic Constitutions (fourth century CE) reworking of the Didache prayers, the order was switched to bless bread and then wine to line up with the Eucharist. The Didache’s inclusion of these prayers in connection with other rituals (chapters 7-8) should not be surprising either. Simply because these chapters on prayers follow shortly after a discussion about immersion does not necessarily indicate that we are dealing with the Lord’s Supper. In fact, the placement of chapters 9-10 within the Didache is an appropriate context for meal blessings, considering that food is a recurring theme in nearby chapters. Chapter 6 instructs the reader to avoid meat offered to idols, and chapter 8 gives instructions regarding fasting. 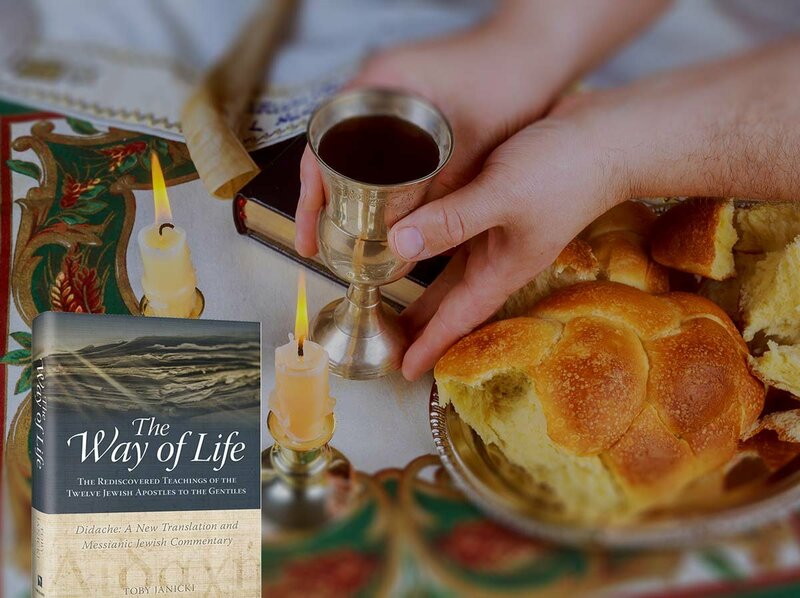 While the blessings of chapters 9 and 10 do not constitute a “sacrament” in the Catholic or Orthodox sense, the Jewish mealtime blessings, as with fasting and baptism, comprise a ritual having important religious significance. 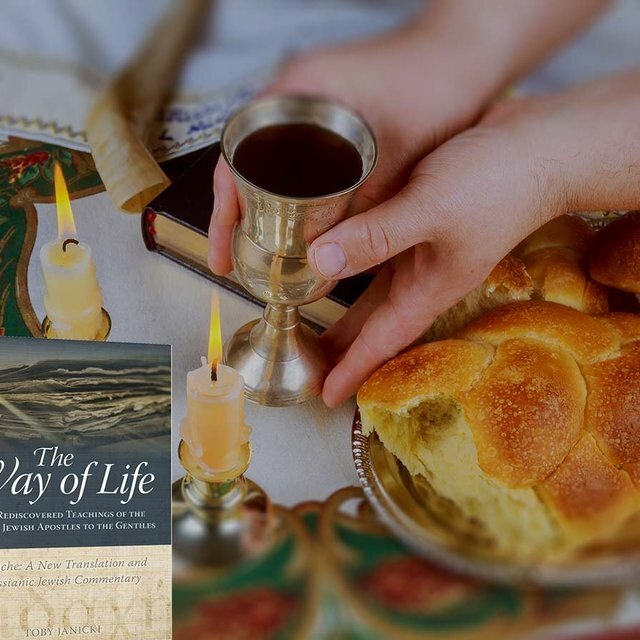 Except for the association that we might make with bread and wine, the prayers in chapters 9 and 10 do not mention anything that would connect them with the ceremony that our Master Yeshua performed at the Last Supper. Instead, it appears that the Didache blessings were the standard liturgical text for the Messianic community’s communal meals. When the believers gathered on Sabbaths and festivals they prayed these blessings over bread and wine in remembrance of Yeshua, the Bread of Life and the true vine, who gave them spiritual food and drink.